Fill the gaps in your operation with additional display options suited for everyone — from beginners to advanced users. The XCN-1050 display is sleek and easy to use. Simplified installation offers decreased cab clutter without compromising functionality. Features include ISOBUS compatibility, Field IQ™ Crop Input Control System Basic, and built-in Bluetooth® and Wi-Fi. The XCN-1050 NAV-900 guidance controller uses signal frequencies from GPS, GLONASS, Galileo, and Beidou satellite systems to offer AFS RTK+, CenterPoint® RTX correction service, RangePoint® RTX, and xFill® correction signals. This system is compatible for use with AutoPilot™ and APMD (Autopilot Motor Drive) systems. The XCN-2050 display is an intuitive, high-definition touch-screen display built on the Android™ operating system. The GPS/GLONASS receiver is capable of a wide range of accuracy levels. It can be used in conjunction with Case IH guidance ready equipment as well as many other makes and models for automated steering. The XCN-2050 display is also compatible with EZ-Pilot®, Field-IQ Crop Input Control System and more. The FM-750 display is a multifunctional precision agricultural display with an integrated GPS/GLONASS receiver capable of a wide range of accuracy levels. It can be used in conjunction with a Case IH guidance ready machine as well as many other makes and models for automated steering. 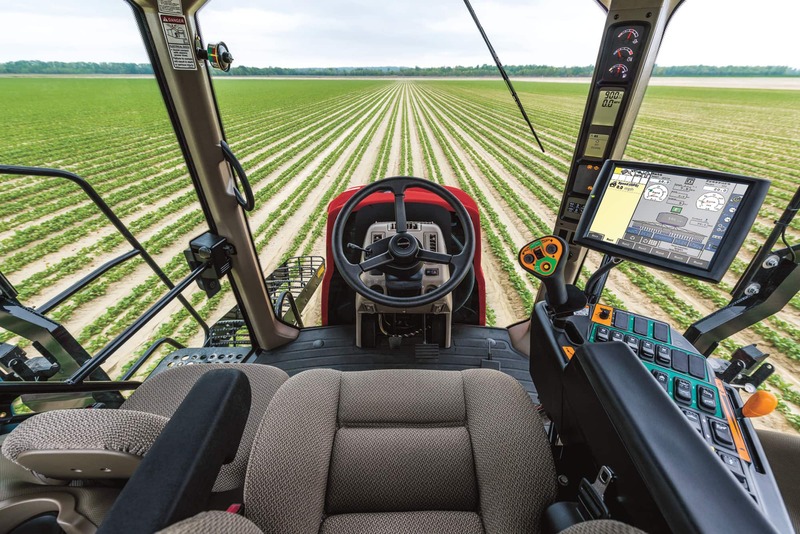 Products such as AutoPilot, EZ-Pilot, EZ-Steer™ assisted steering system, Field IQ and others utilize the FM-750 display. The EZ-Guide 250 is an entry-level guidance option with an integrated GPS receiver capable of submeter accuracy, or WAAS six- to eight-inch pass-to-pass accuracy with the optional antenna upgrade. The EZ-Guide 500 can be used for manual guidance or with EZ-Steer assisted steering system. ​​​See how the intuitive, easy-to-read AFS Pro 700 display can add efficiency to your operation.